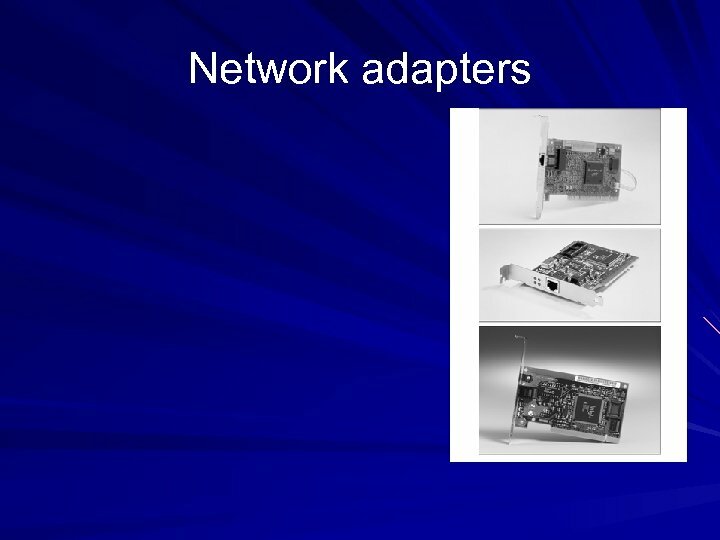 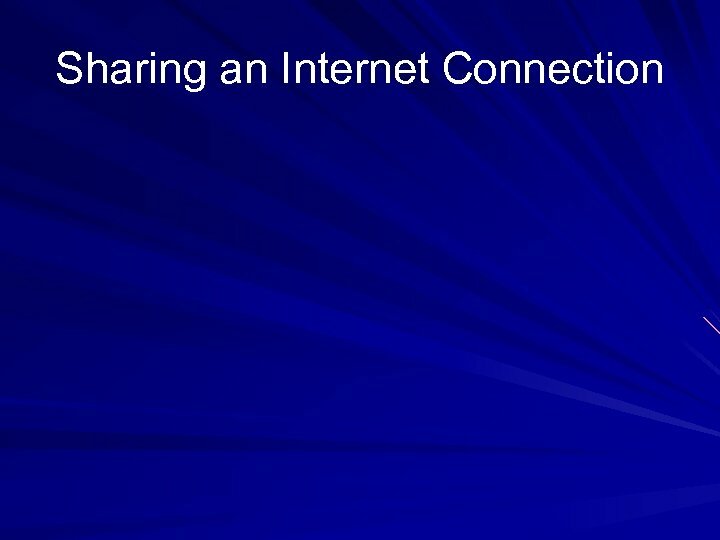 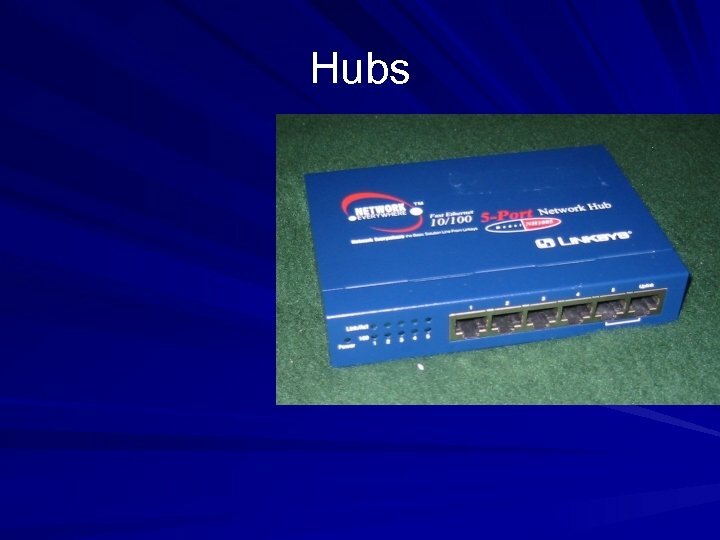 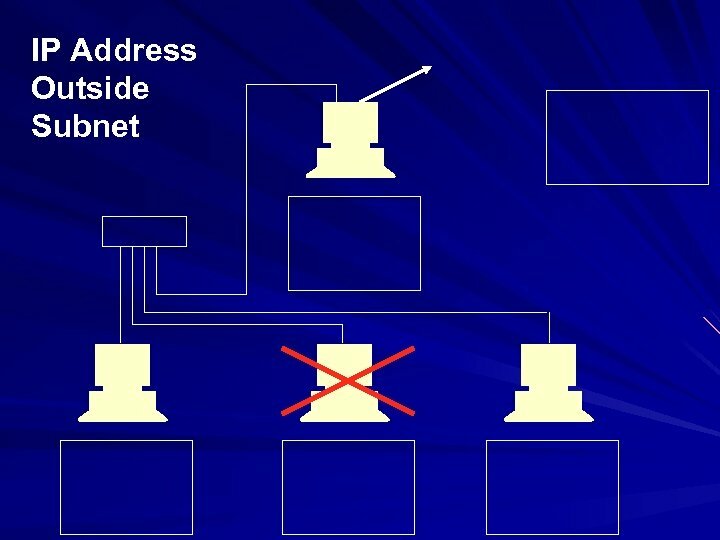 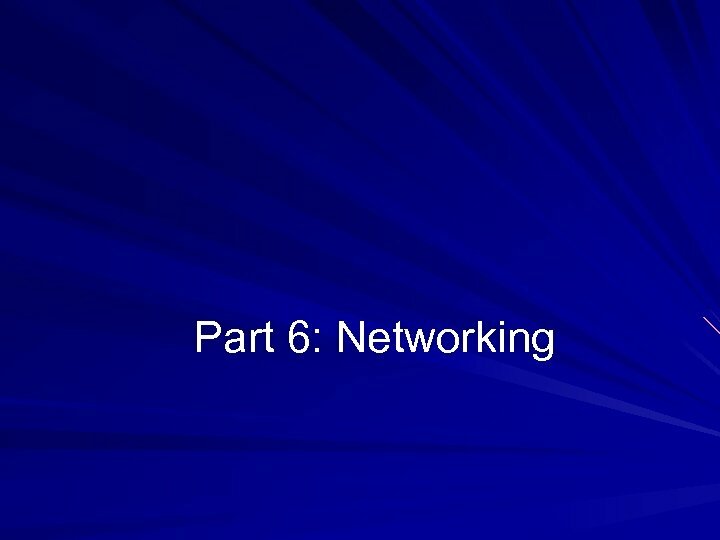 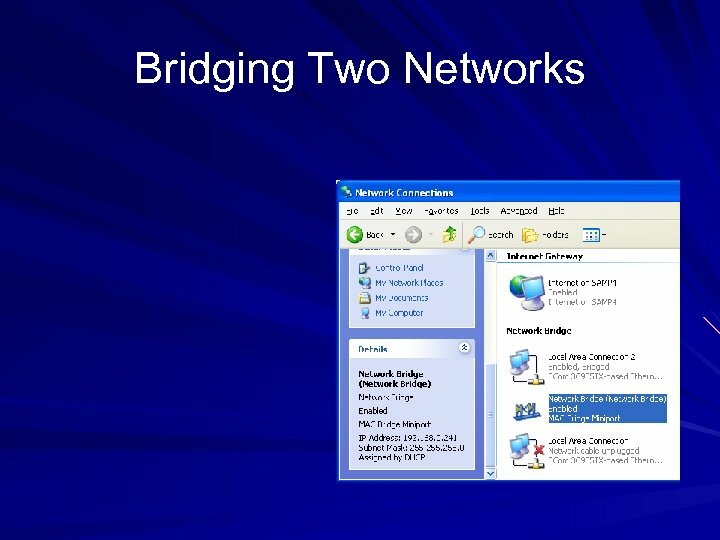 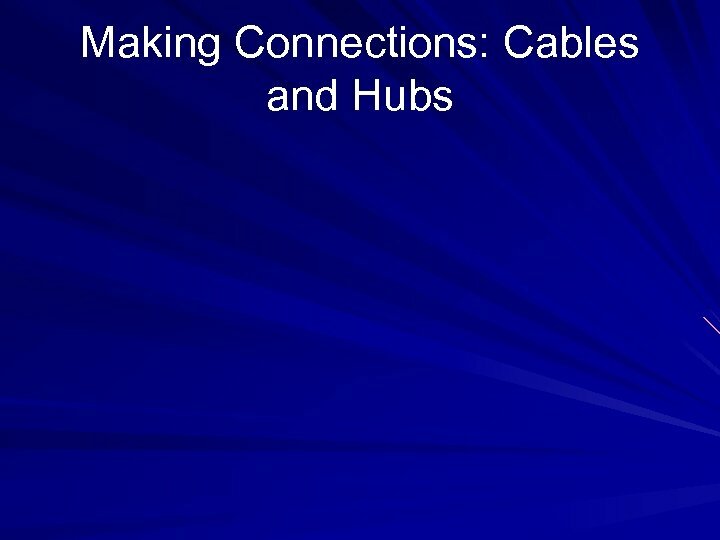 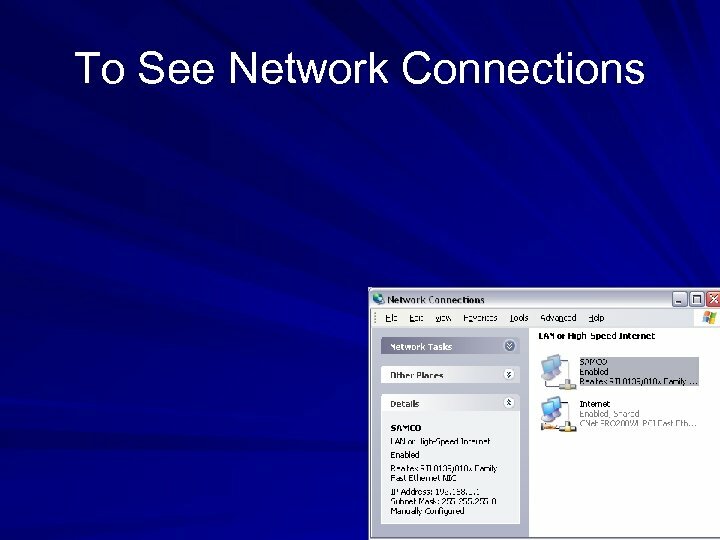 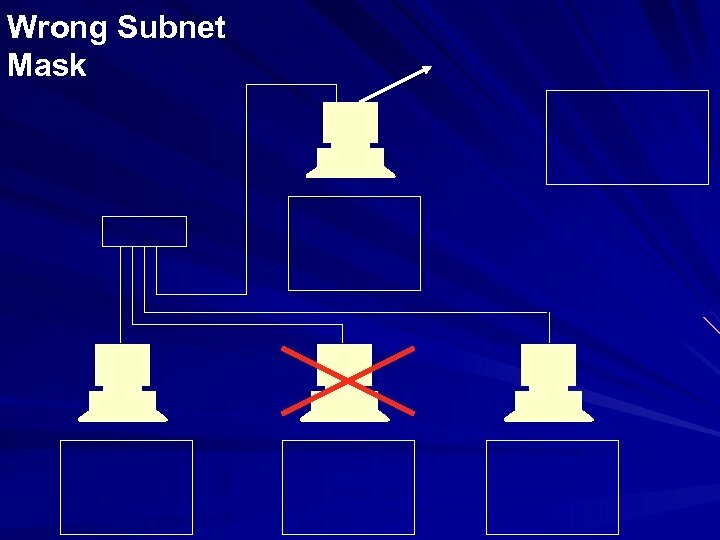 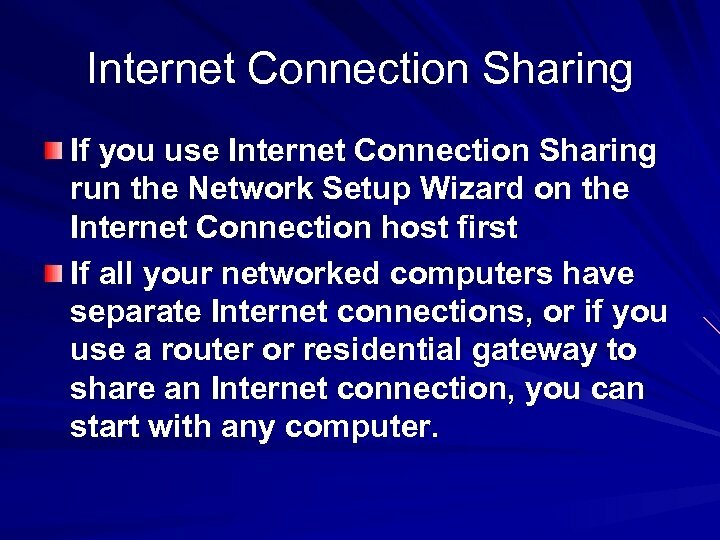 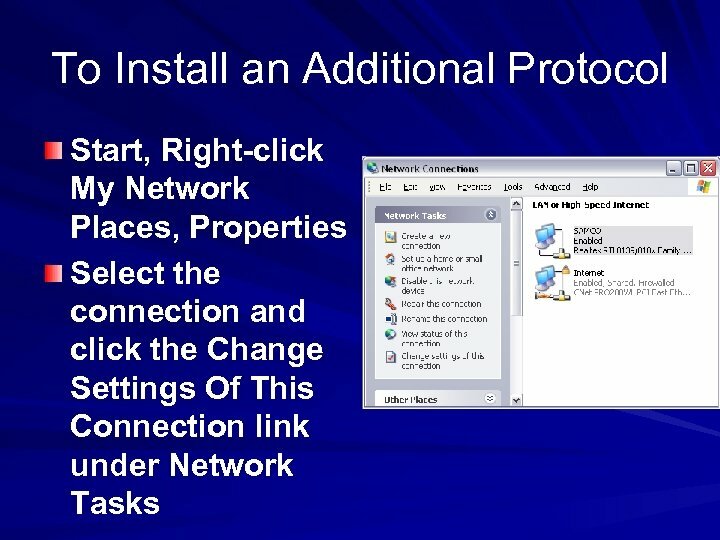 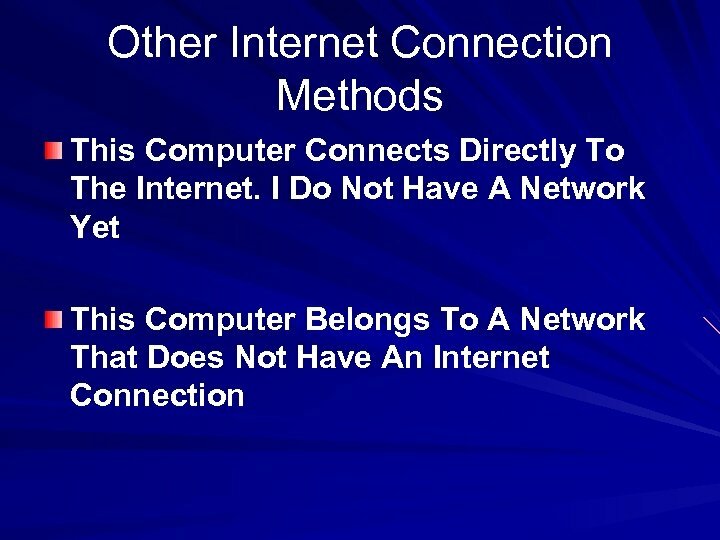 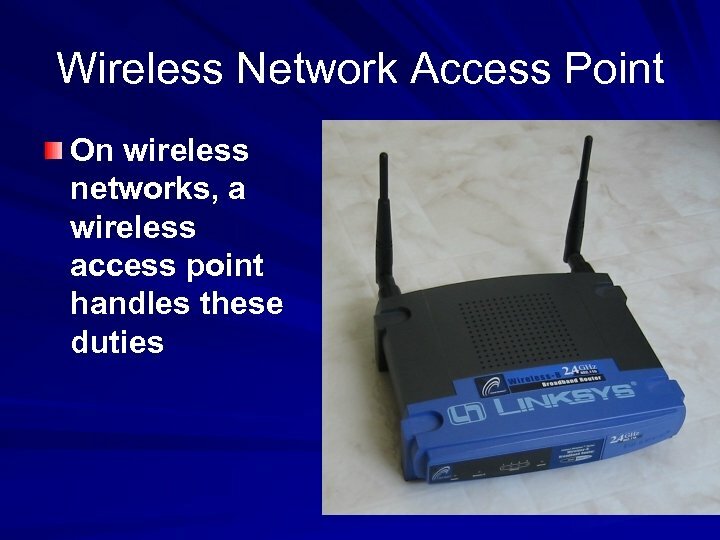 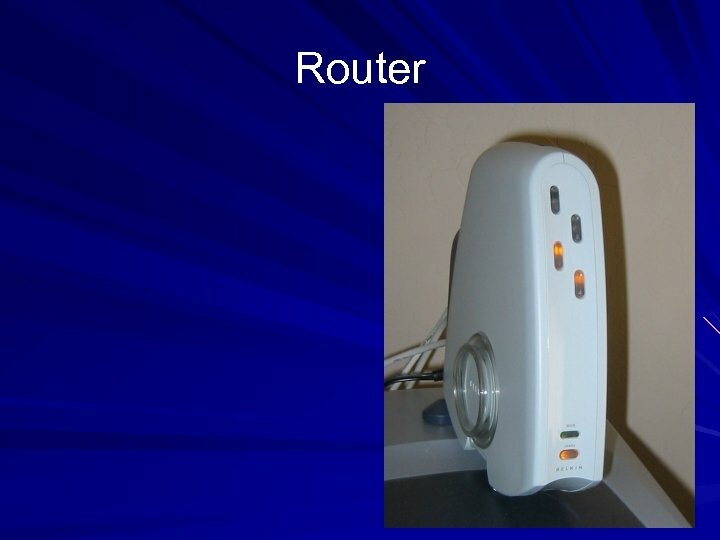 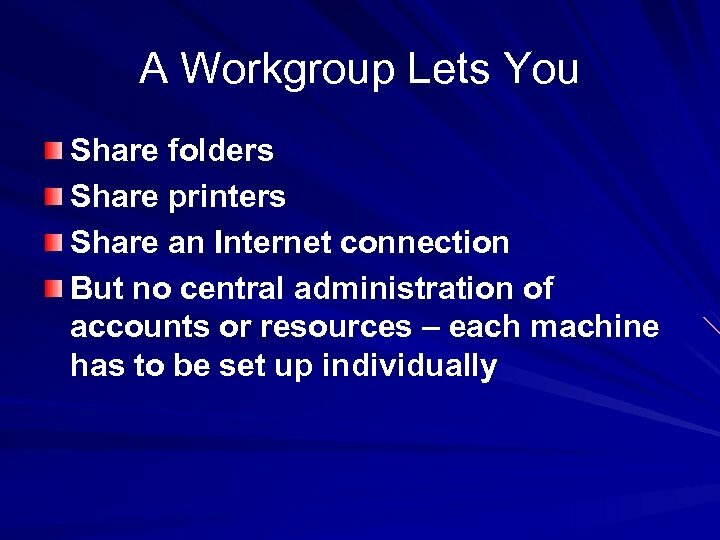 Internet Connection Sharing If you use Internet Connection Sharing run the Network Setup Wizard on the Internet Connection host first If all your networked computers have separate Internet connections, or if you use a router or residential gateway to share an Internet connection, you can start with any computer. 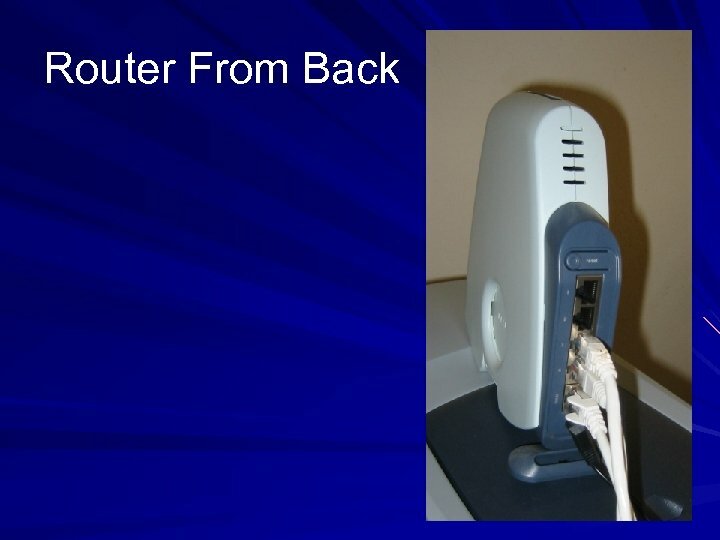 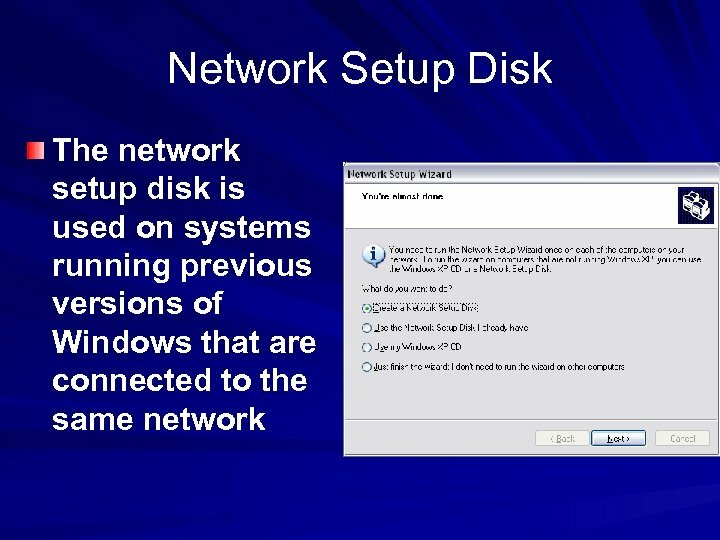 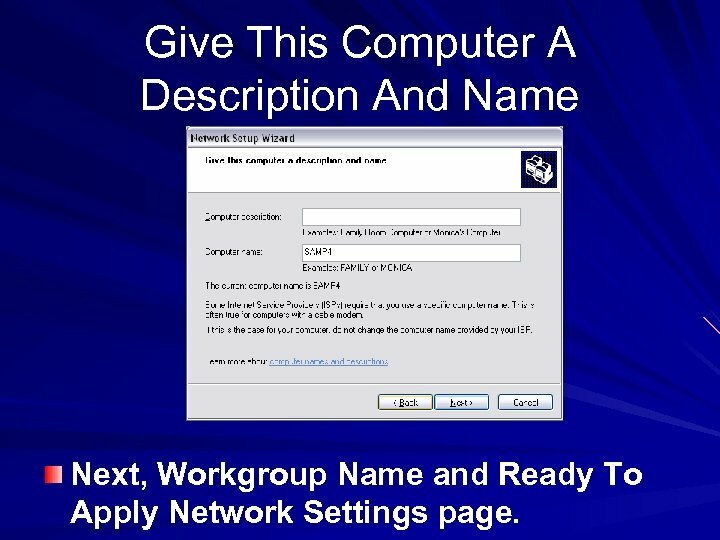 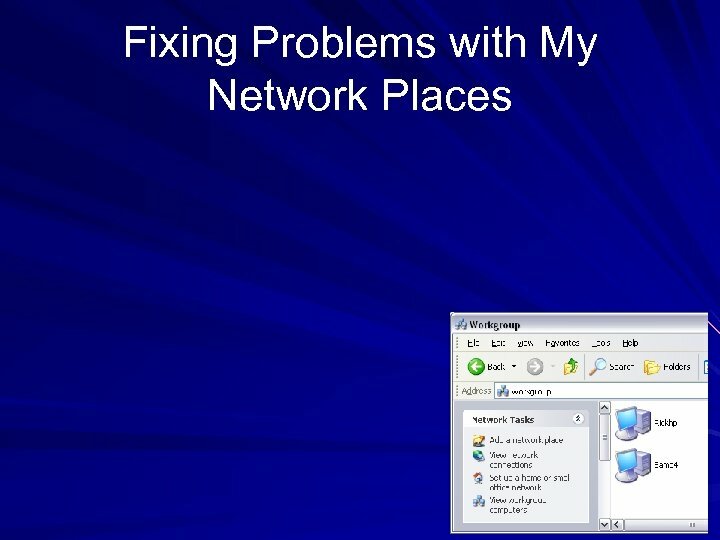 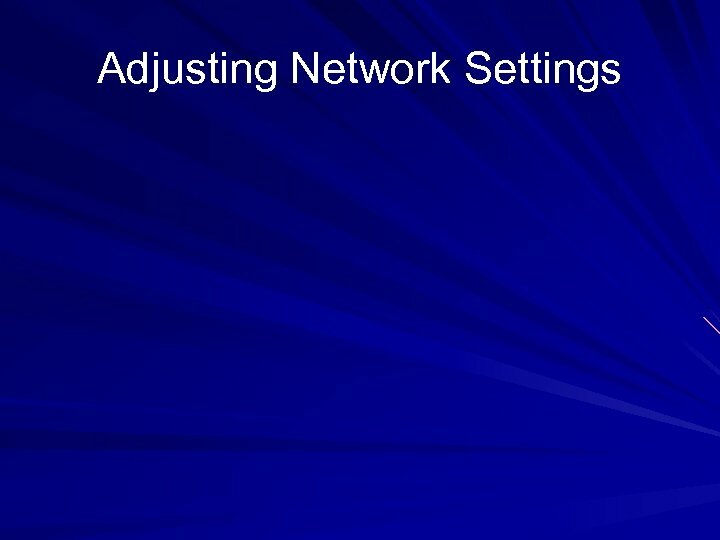 Give This Computer A Description And Name Next, Workgroup Name and Ready To Apply Network Settings page. 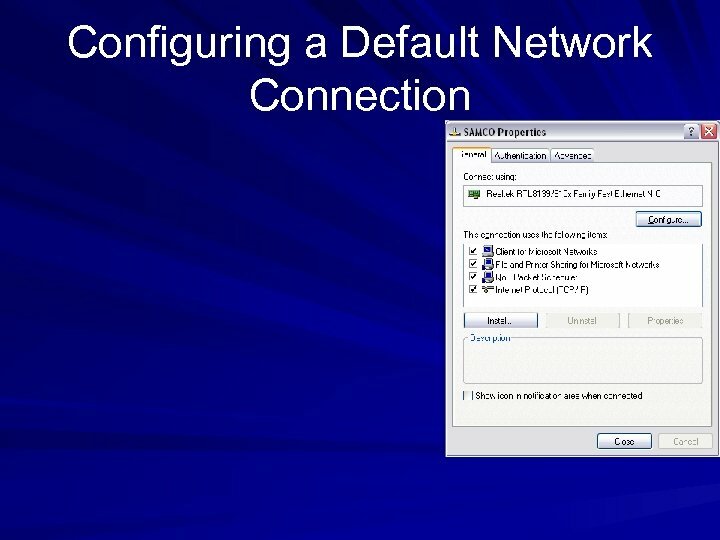 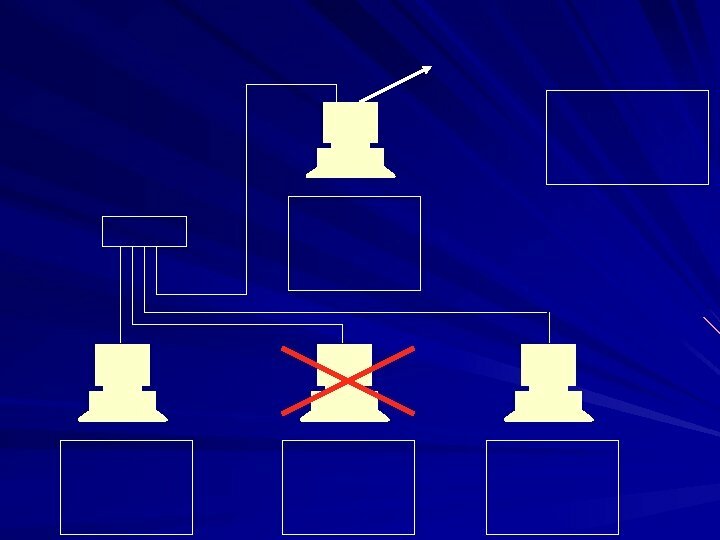 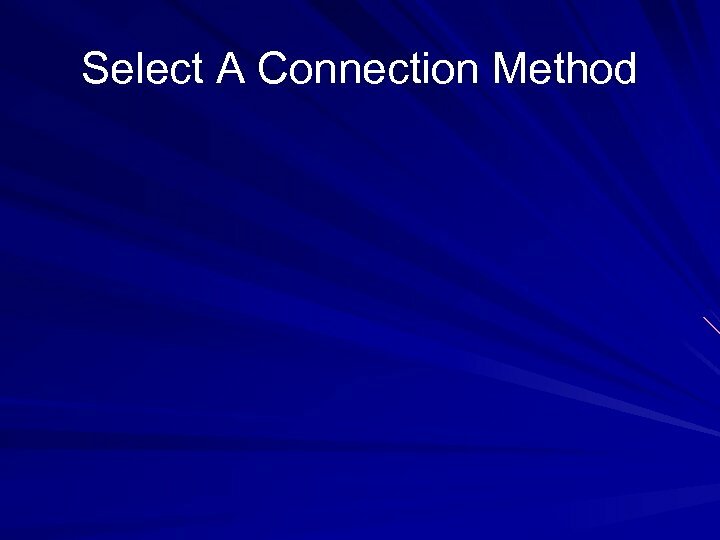 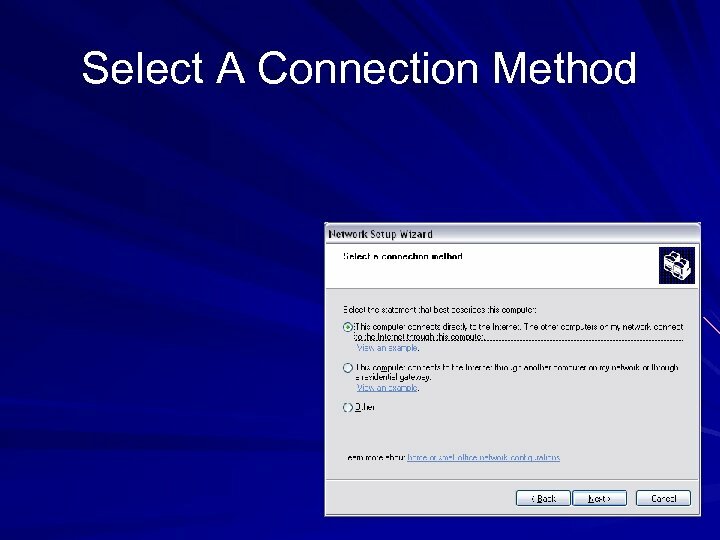 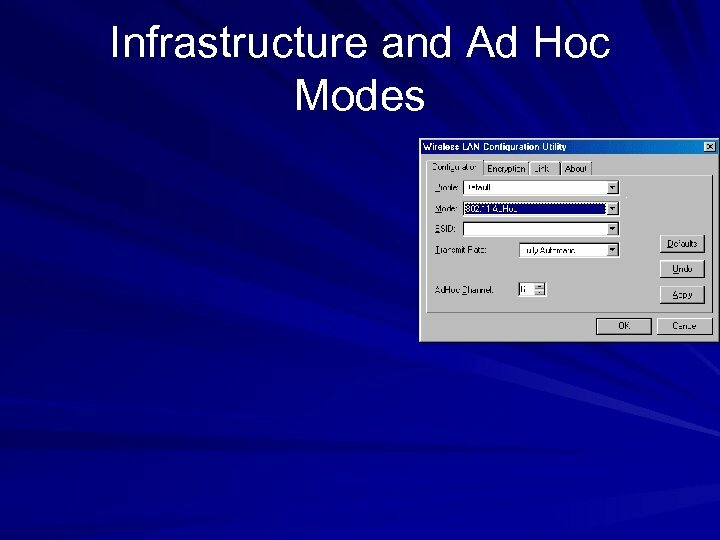 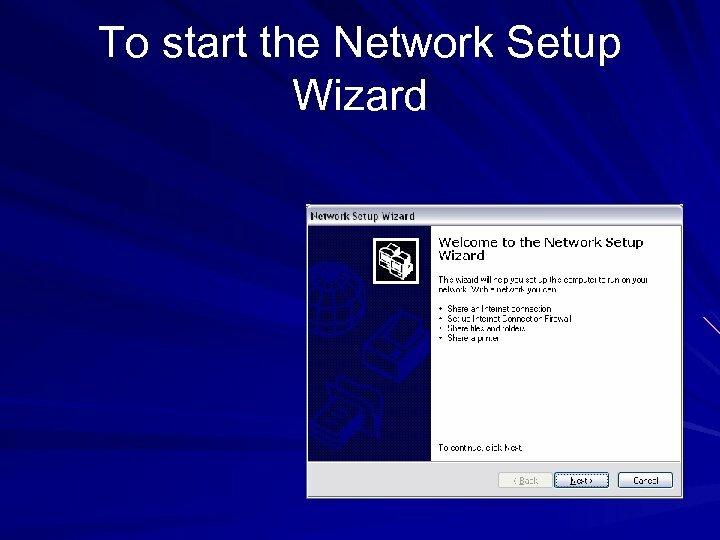 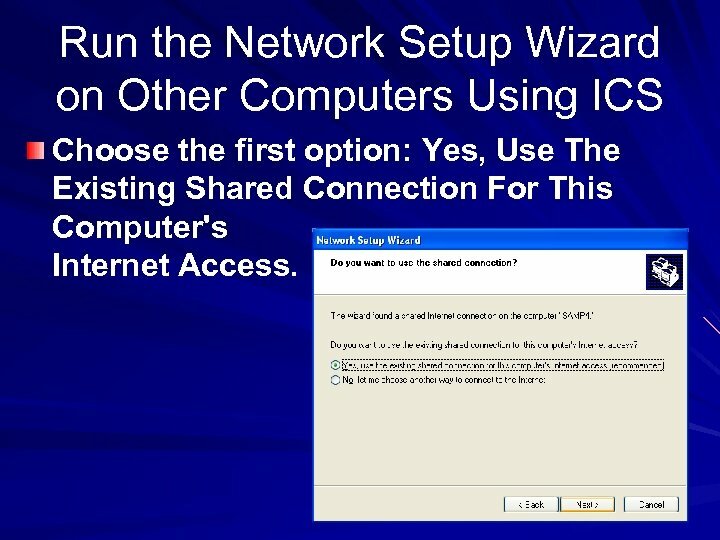 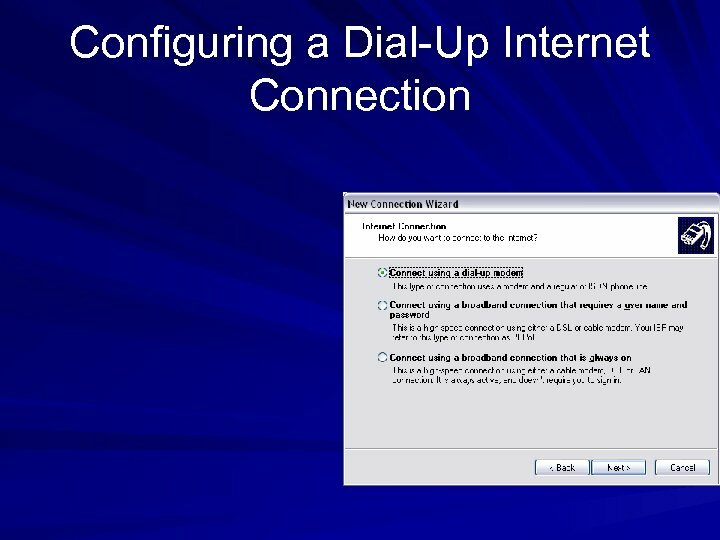 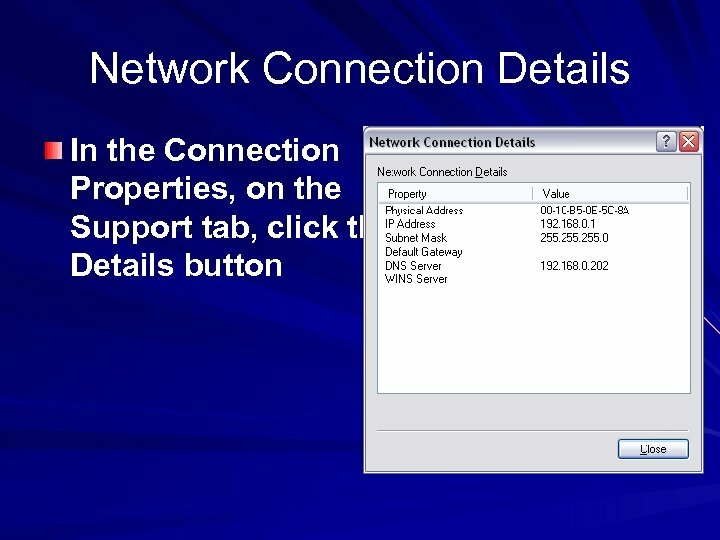 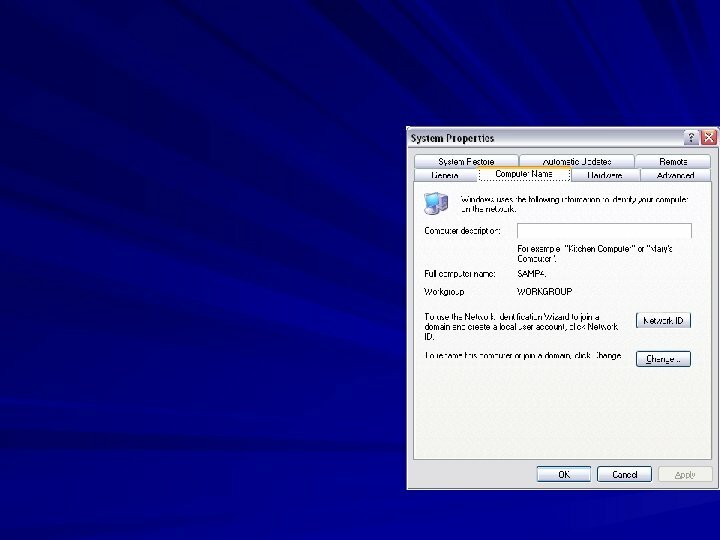 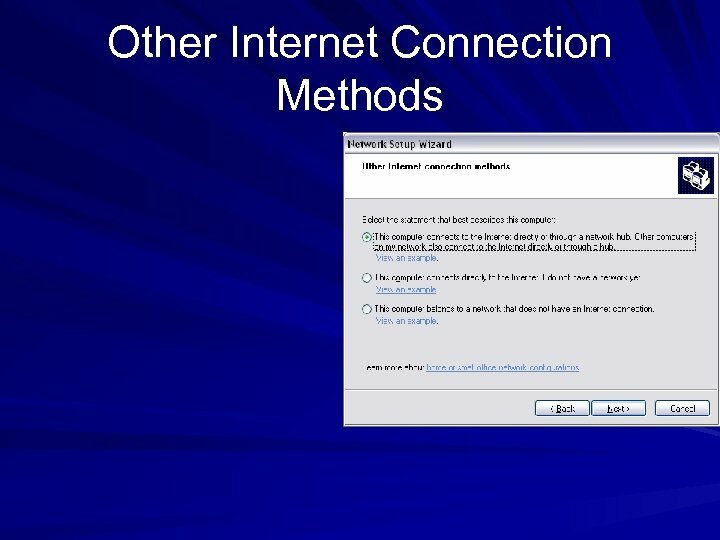 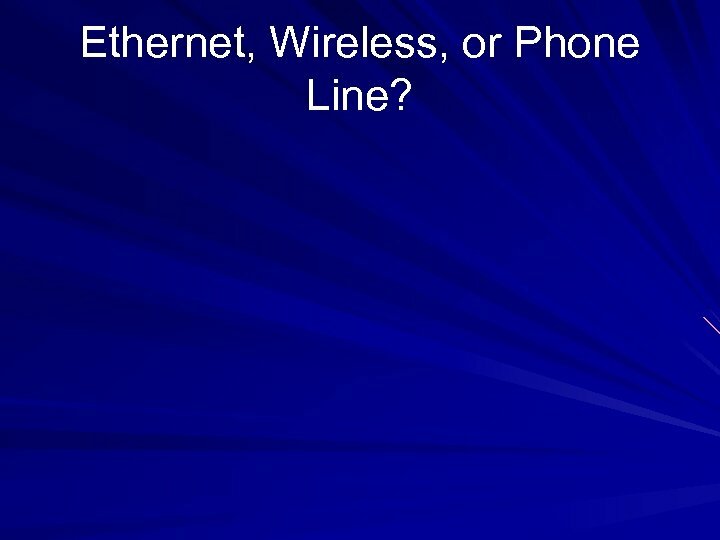 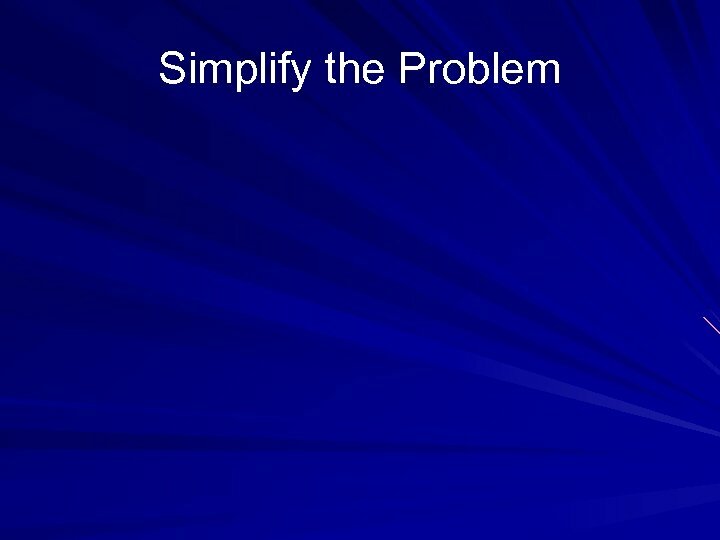 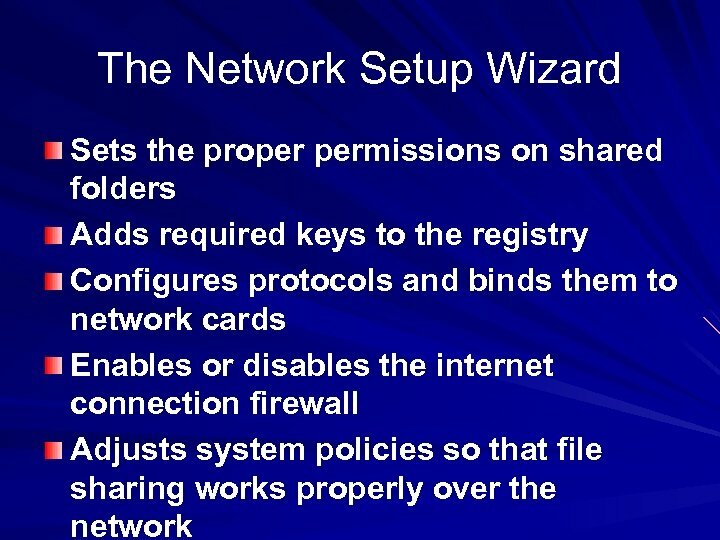 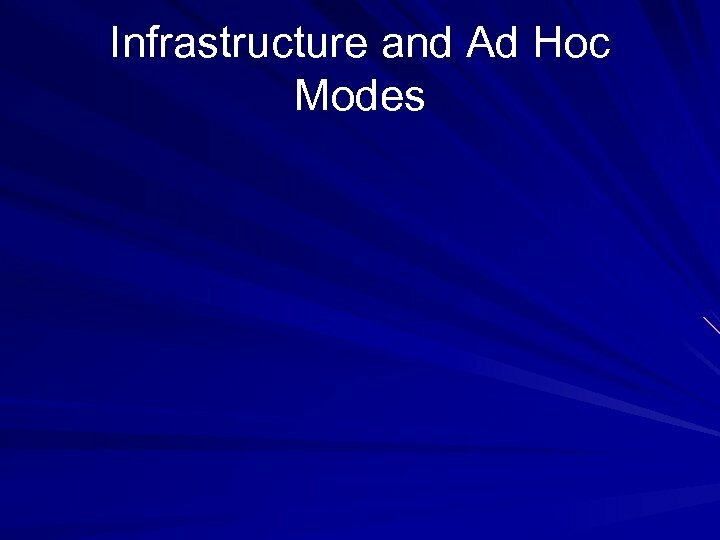 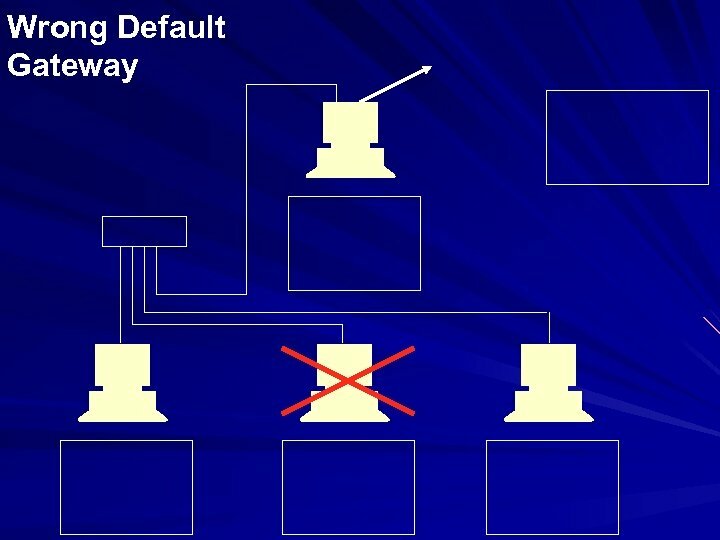 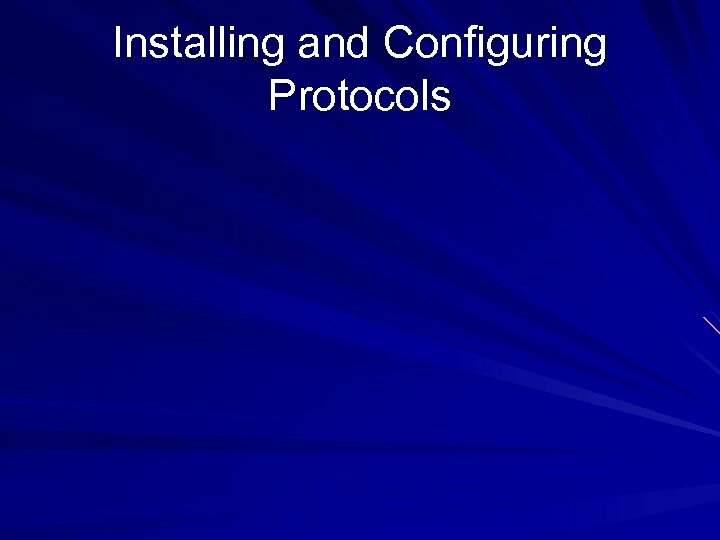 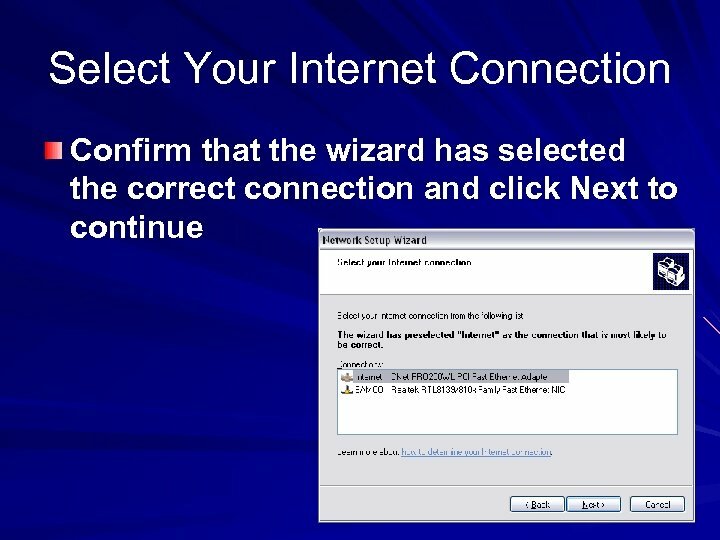 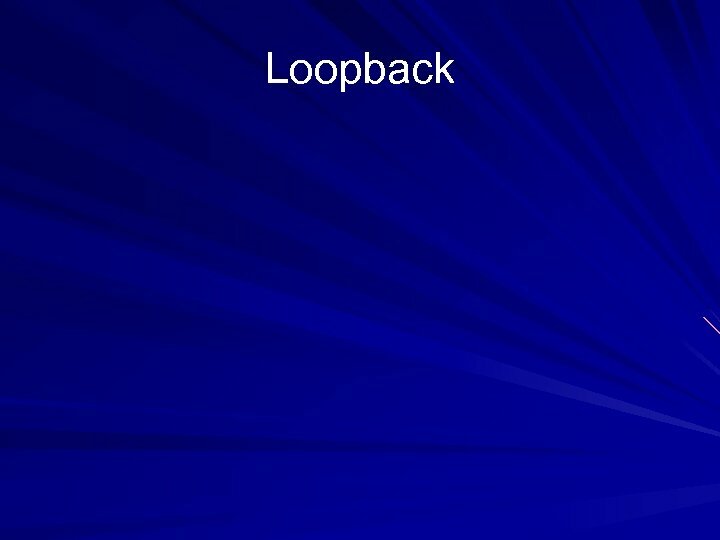 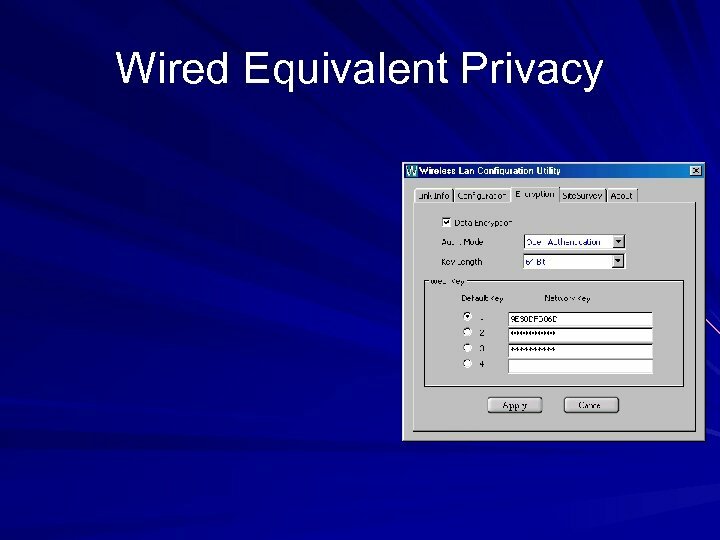 Run the Network Setup Wizard on Other Computers Using ICS Choose the first option: Yes, Use The Existing Shared Connection For This Computer's Internet Access. 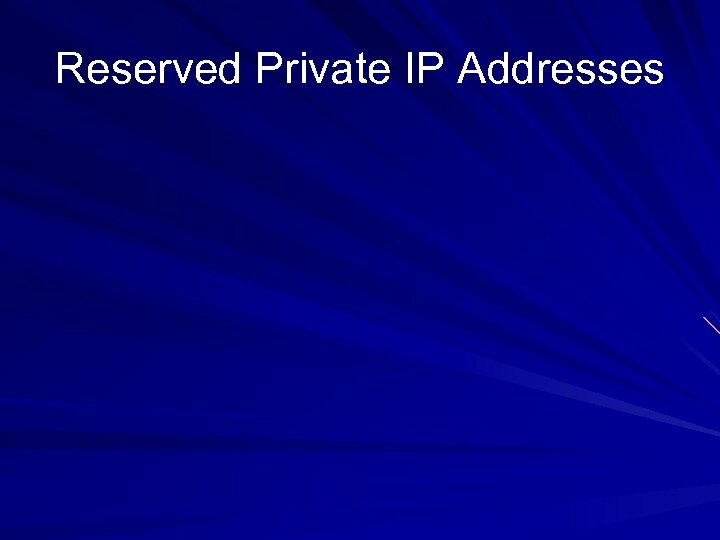 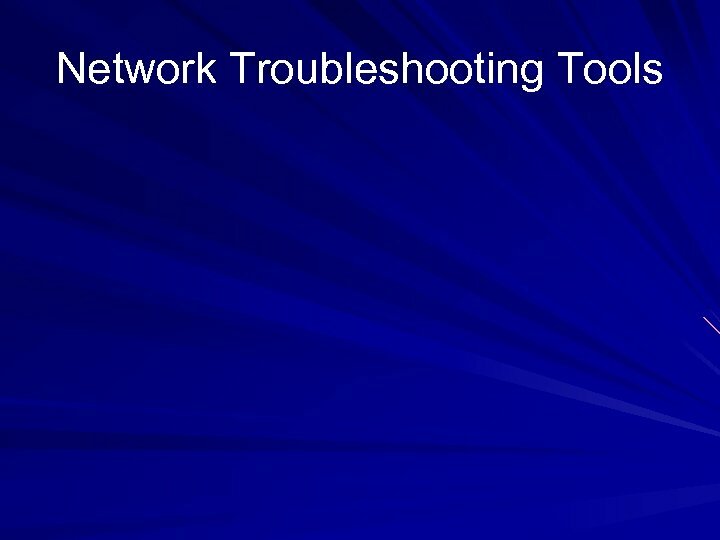 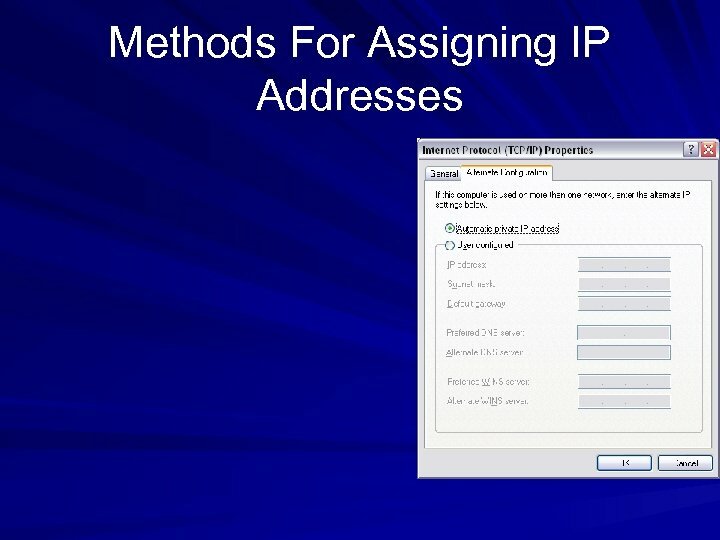 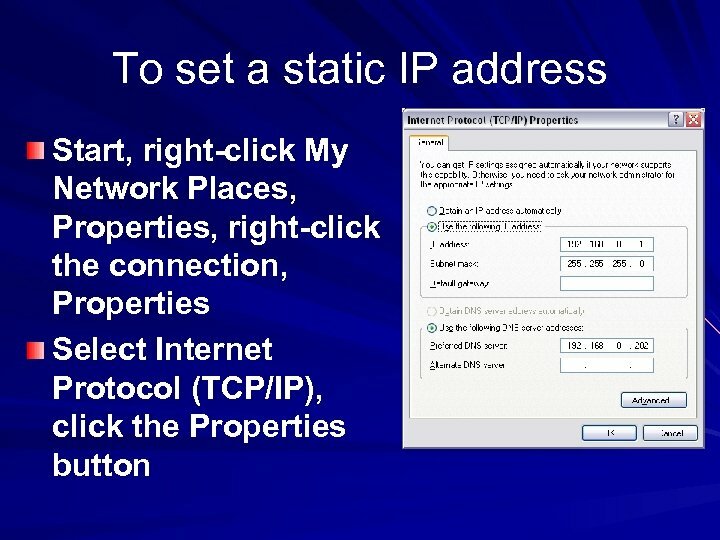 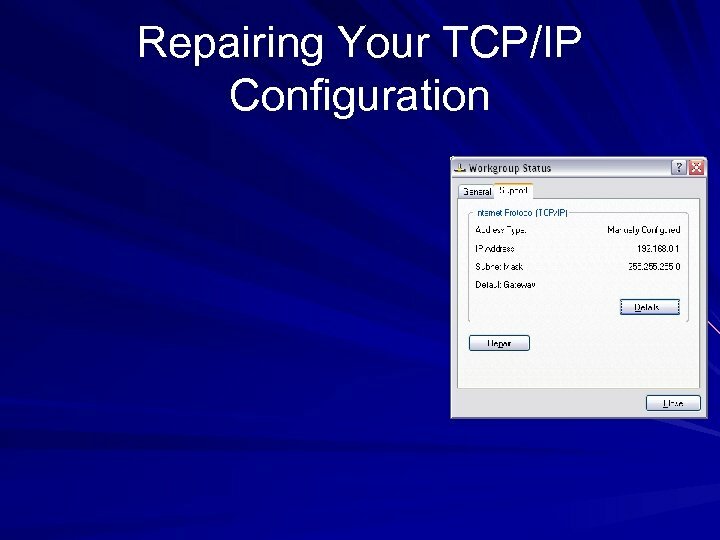 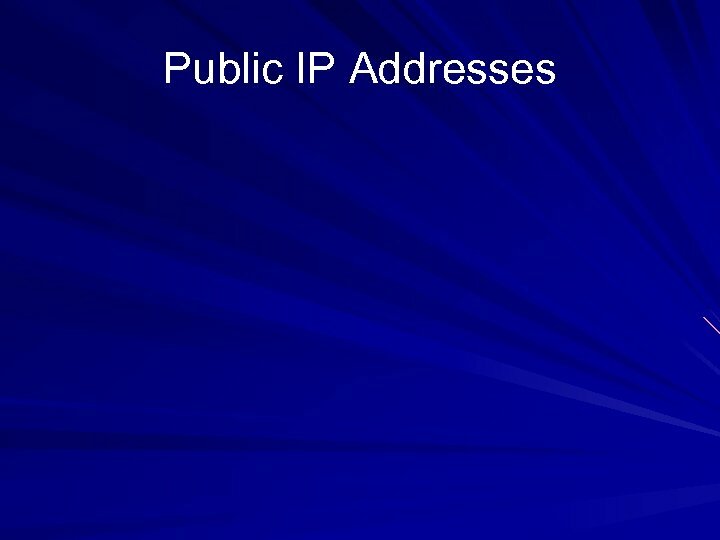 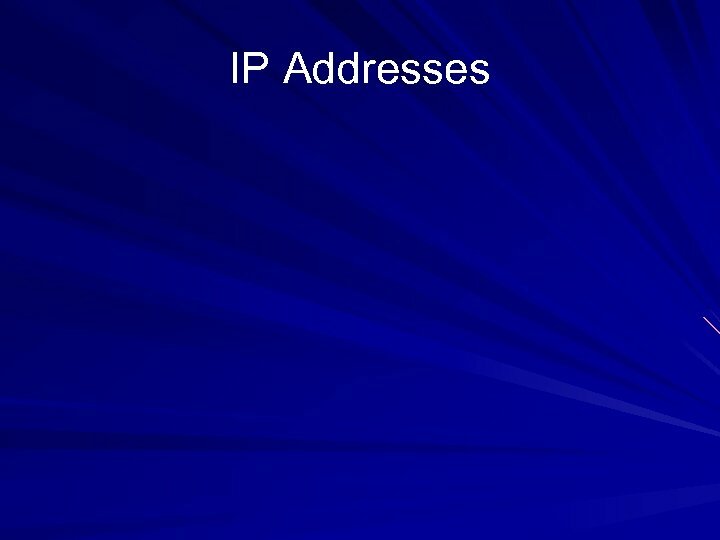 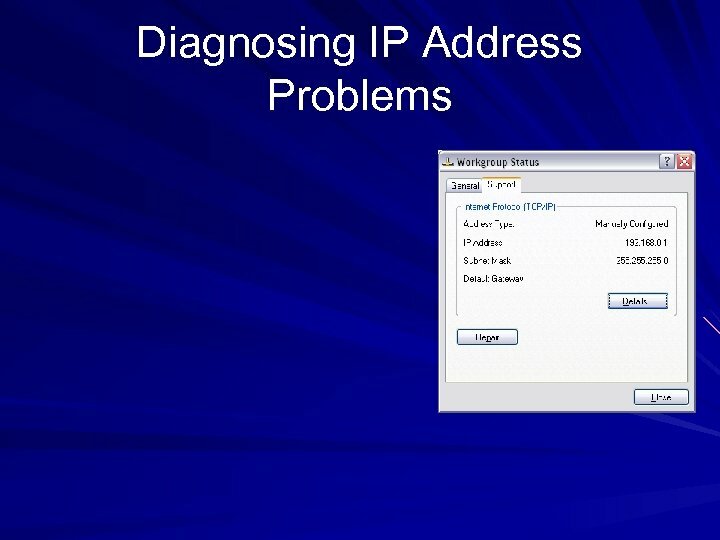 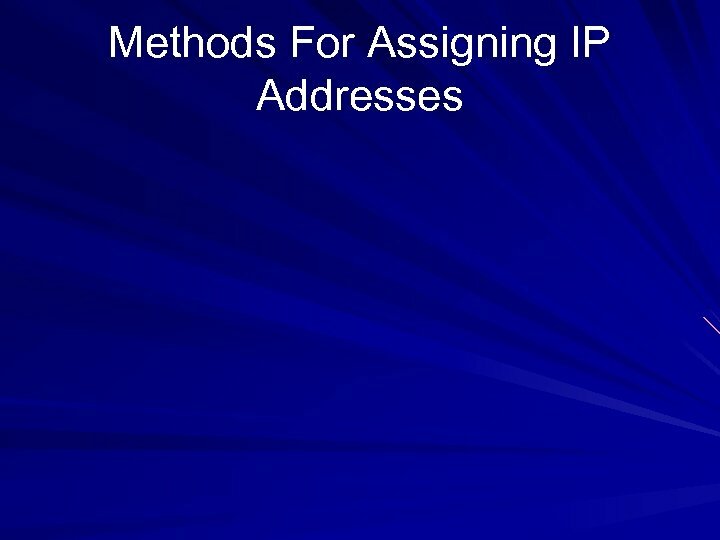 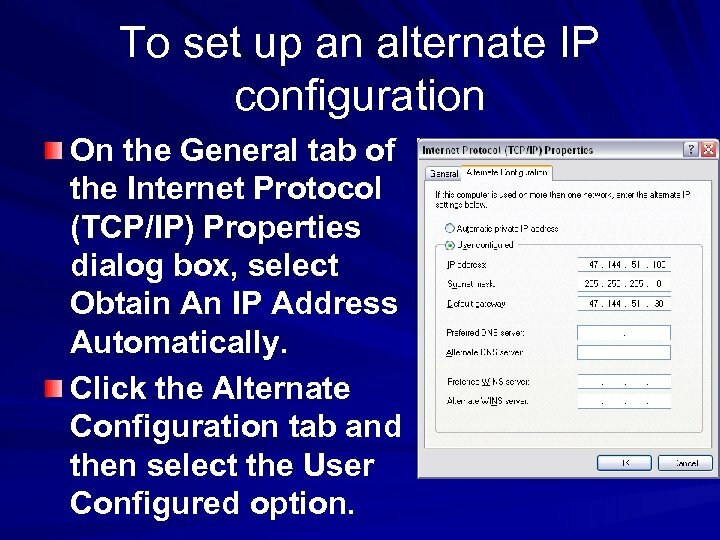 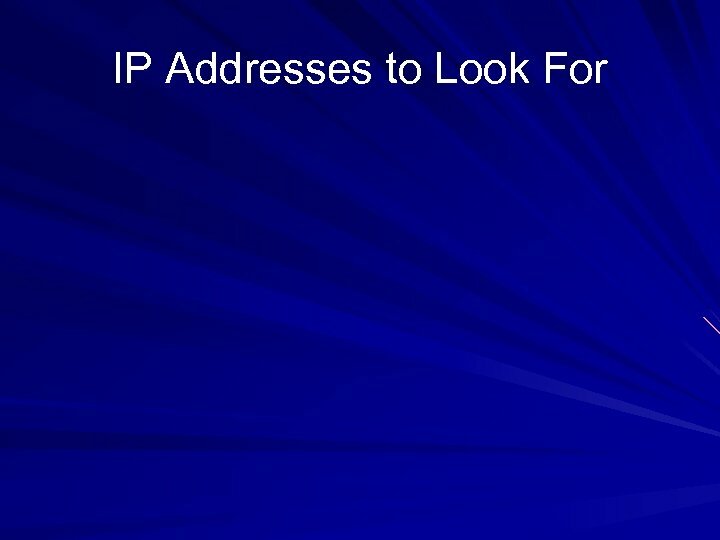 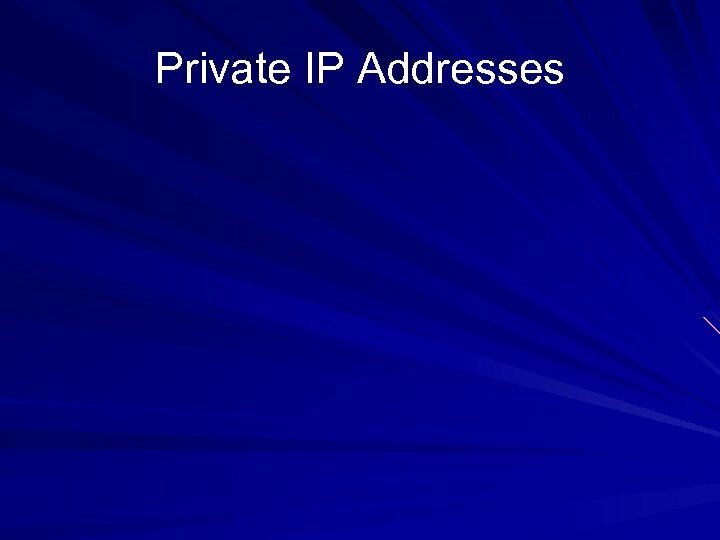 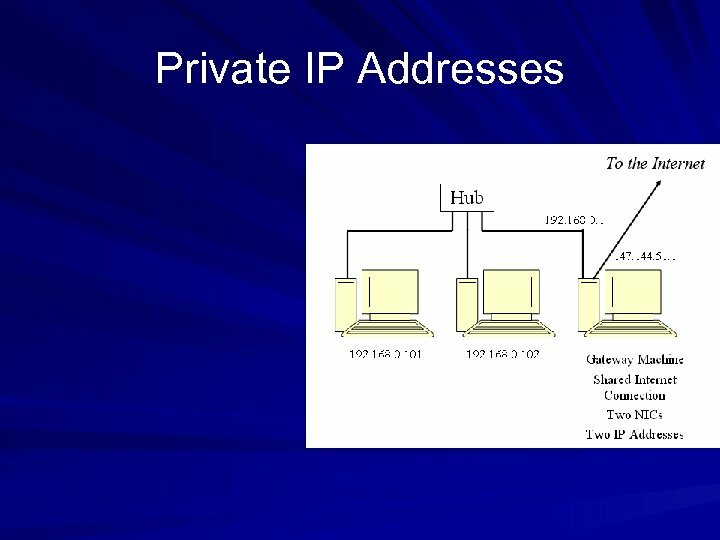 To set up an alternate IP configuration On the General tab of the Internet Protocol (TCP/IP) Properties dialog box, select Obtain An IP Address Automatically. 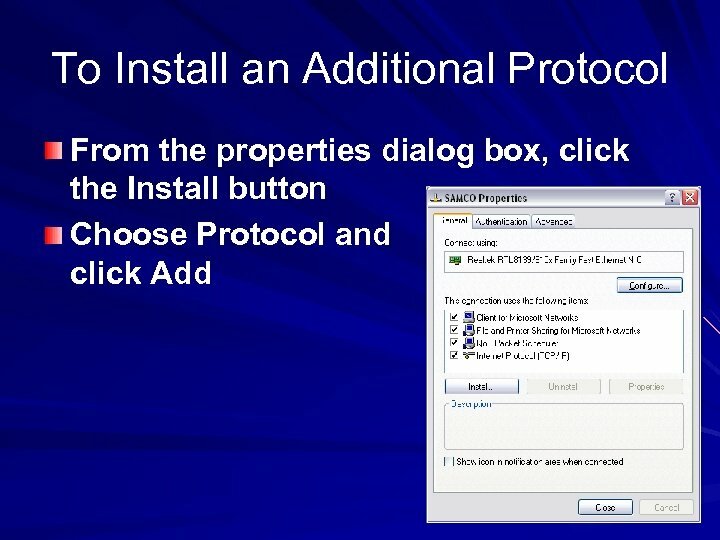 Click the Alternate Configuration tab and then select the User Configured option. 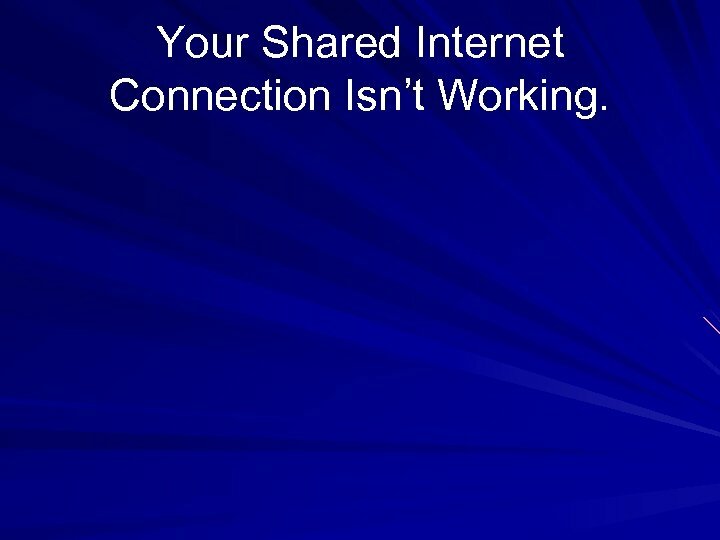 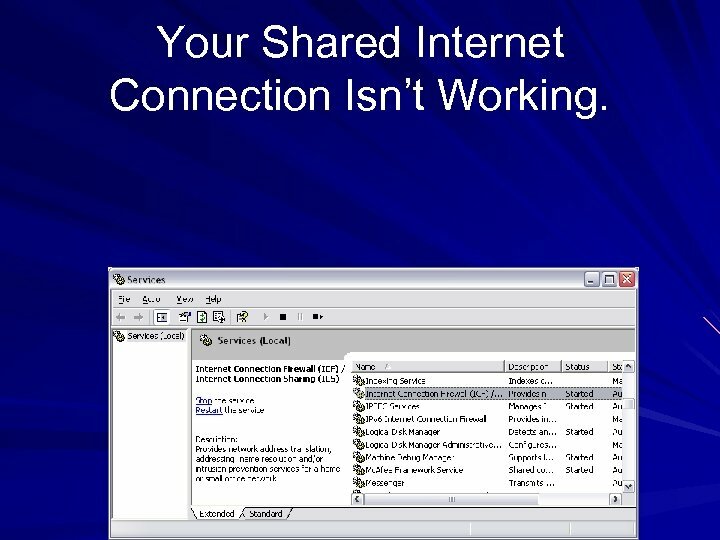 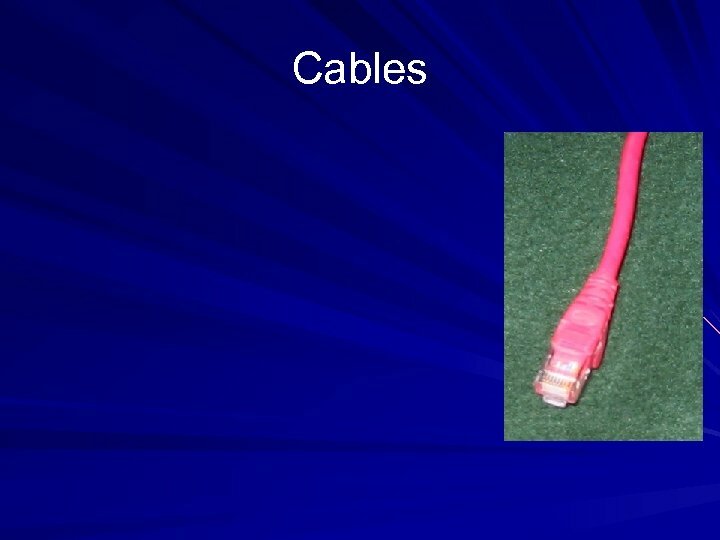 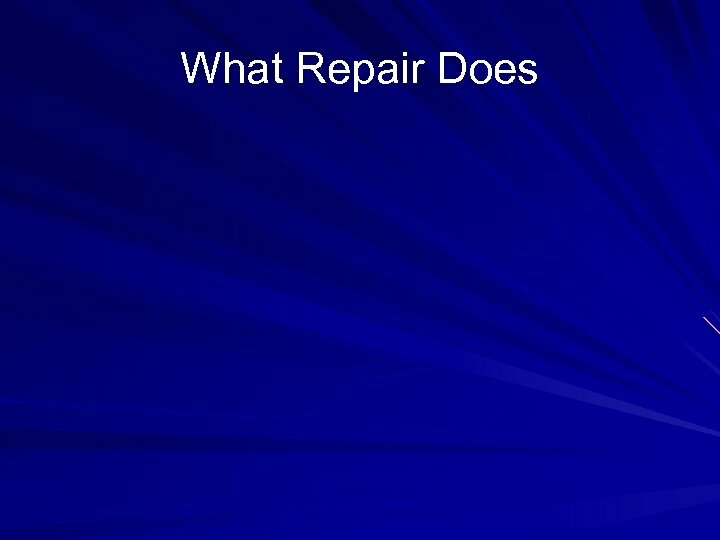 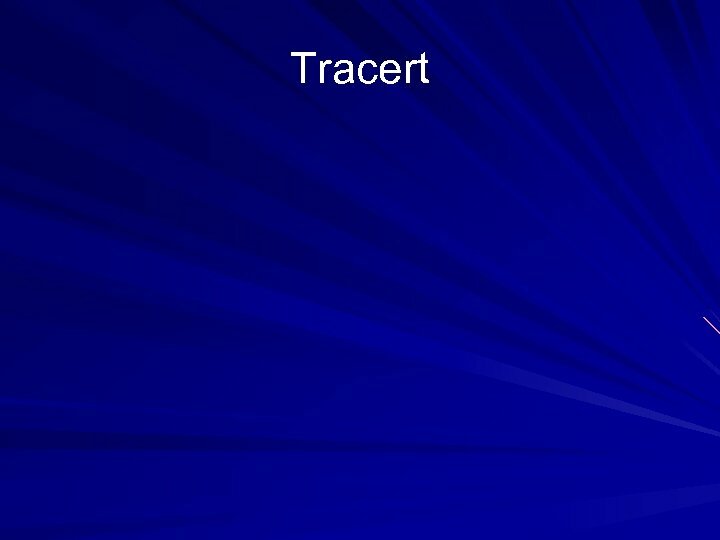 Your Shared Internet Connection Isn’t Working. 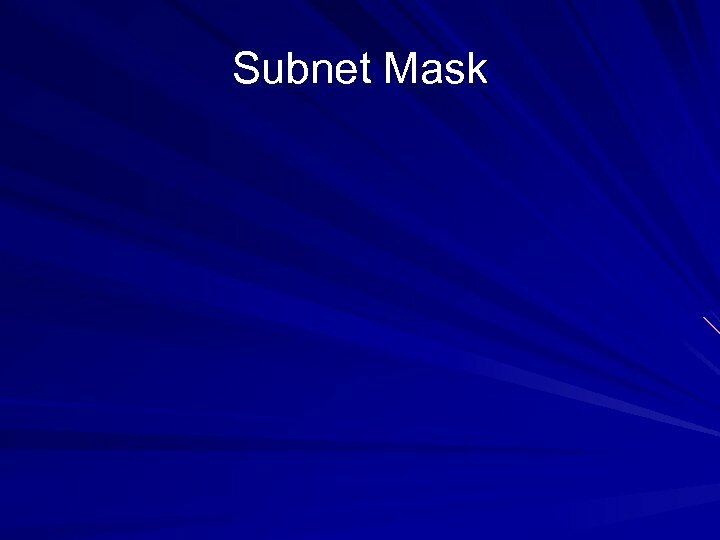 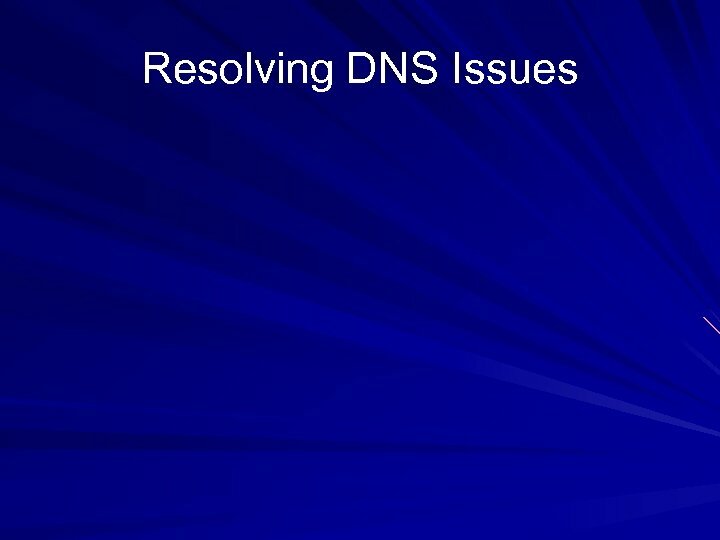 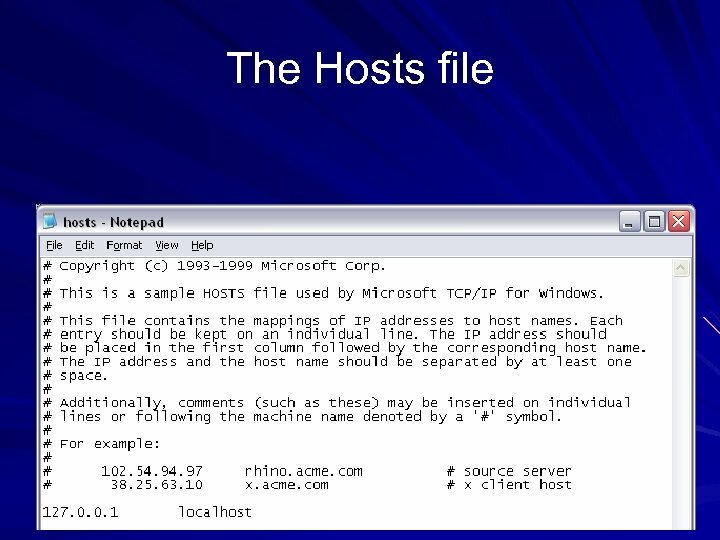 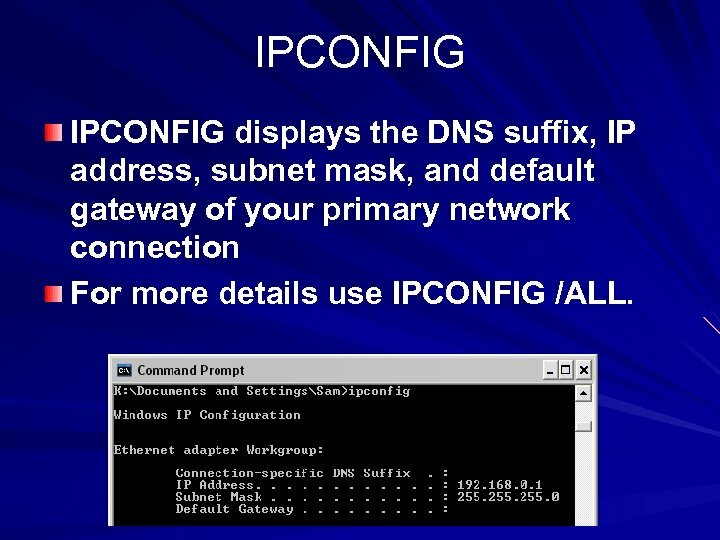 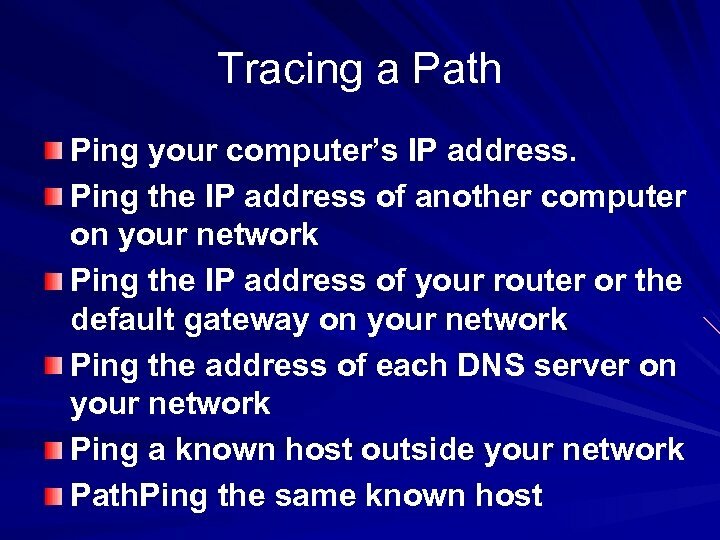 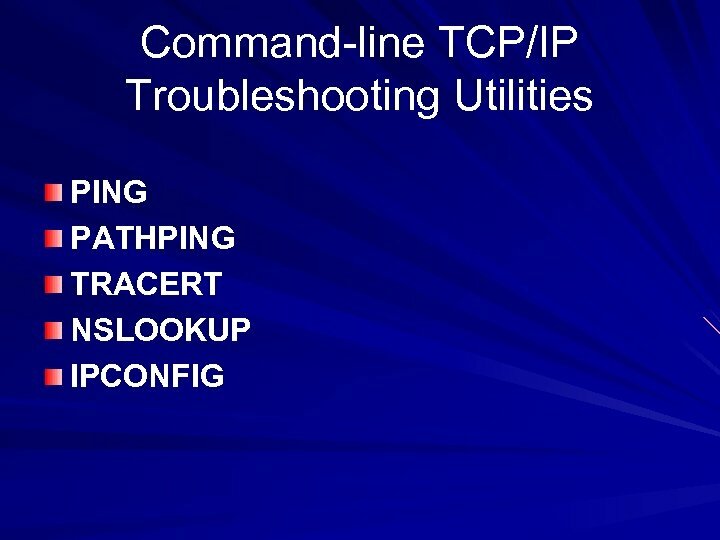 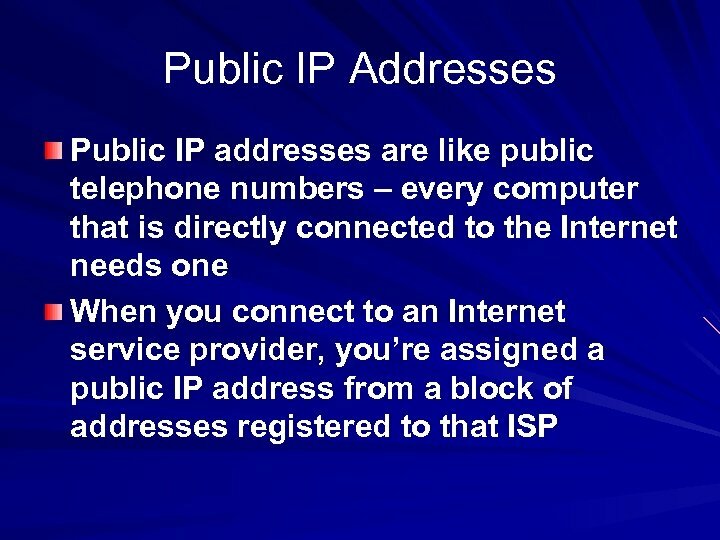 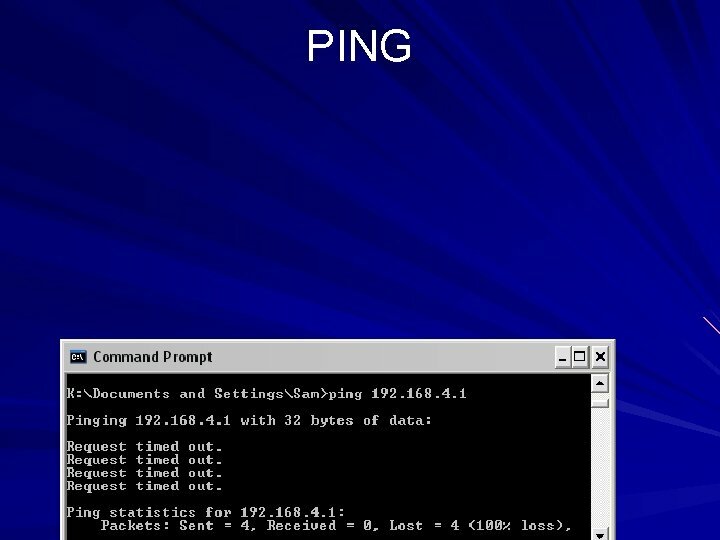 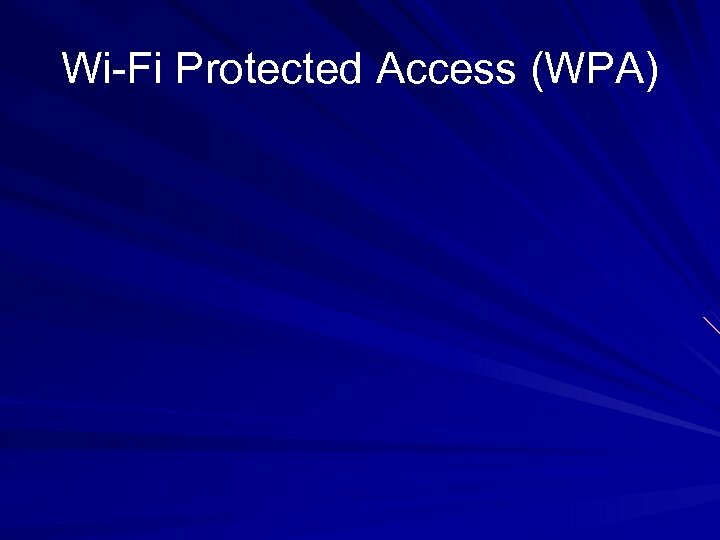 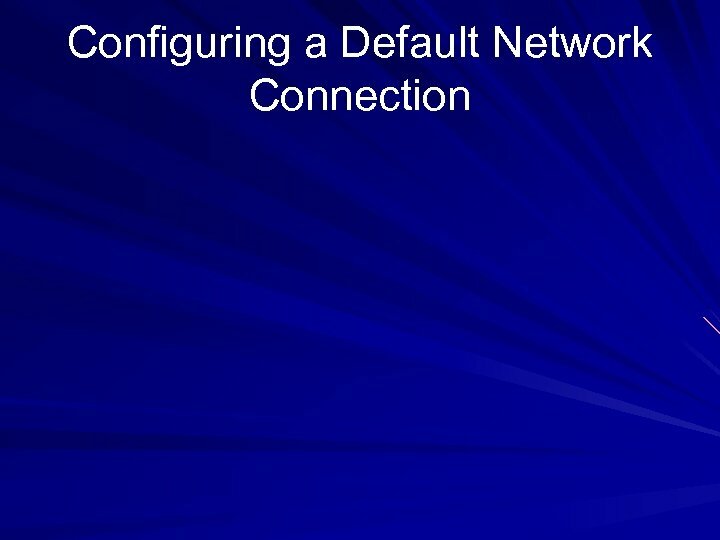 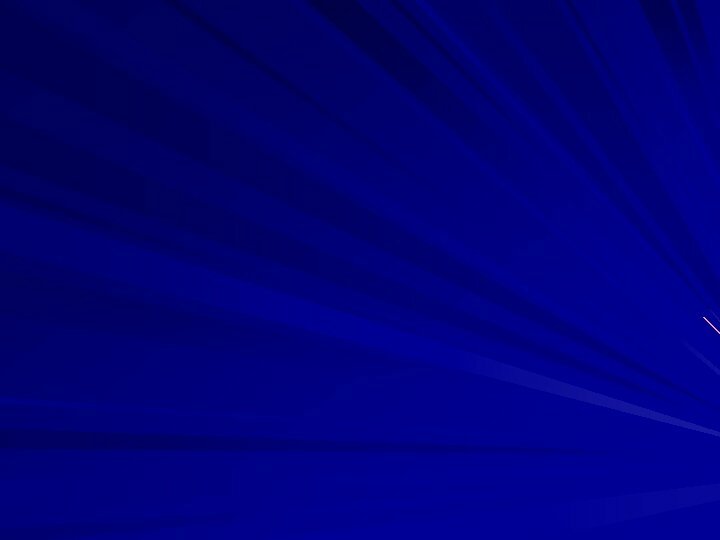 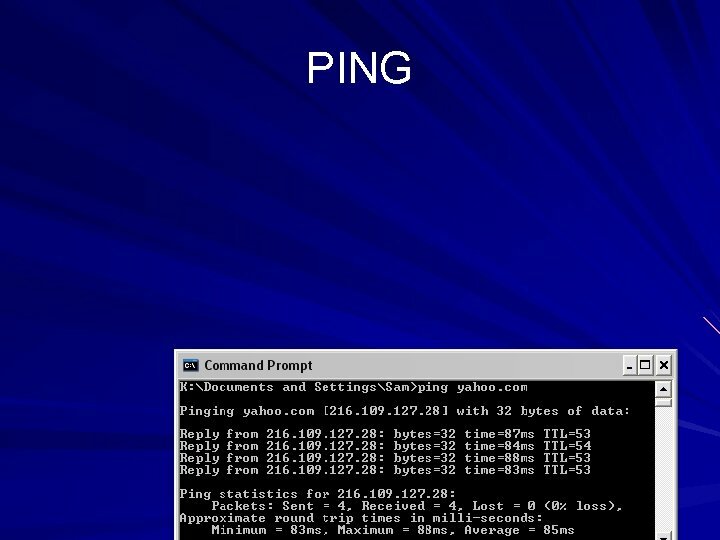 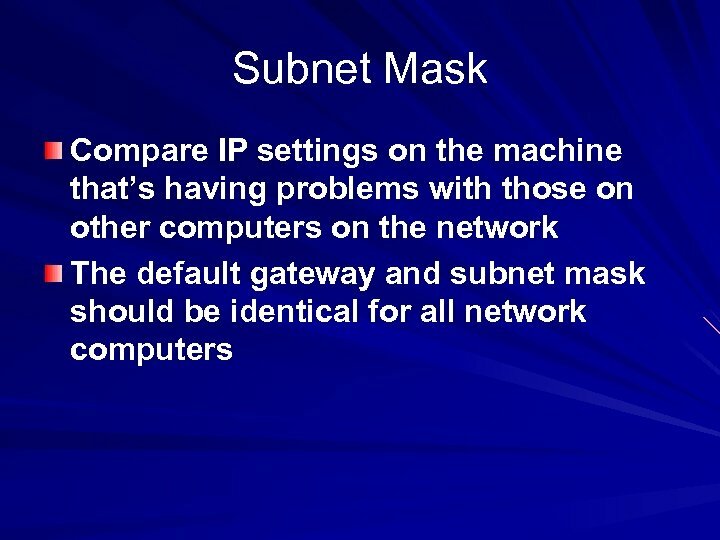 IPCONFIG displays the DNS suffix, IP address, subnet mask, and default gateway of your primary network connection For more details use IPCONFIG /ALL.